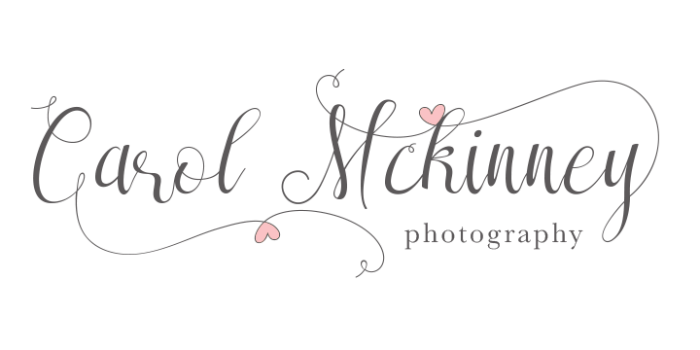 Carol loves to photograph mamas to be, babies & children and families, capturing their true spirits, expressions and emotions... fun, laughter, joy, tears, and even sorrow. Carol has been capturing beautiful memories since 2005. As a full service studio, her goal is to create a wonderful experience and products for you. Carol is passionate about providing images that are more than just photos, but works of art that you will be proud to display in your home and pass down to the next generations. Carol has been featured in magazines, such as Youthful Talent Magazine and she has also won various awards for Favorite Photographer and Best Photographer in her area. Carol has 4 kids- Bailey, Graham (in Heaven), Parker & Griffin. She and her husband, Clint have been married 29 years. * Carol also co-founded a non profit organization, Frames of Love, which provides free bereavement photography to families, along with free photography to special needs and terminally ill children. Check out framesoflove.com.